But how many people know where City Hall is? Fair point. I always was confused between city hall and county hall! I also nominate "Woolwich". Some of their terminating points seem needlessly confusing, and pretty much each different route has a different stand. I think it's part of a deeper issue with Woolwich, and a centralised bus station would solve all of that ( I completely recognise that space is an issue haha). Barking Town Centre is just as vague a blind personally - for me, the 169 should have Barking, London Road though I agree with your suggestion for the 238 & 287. 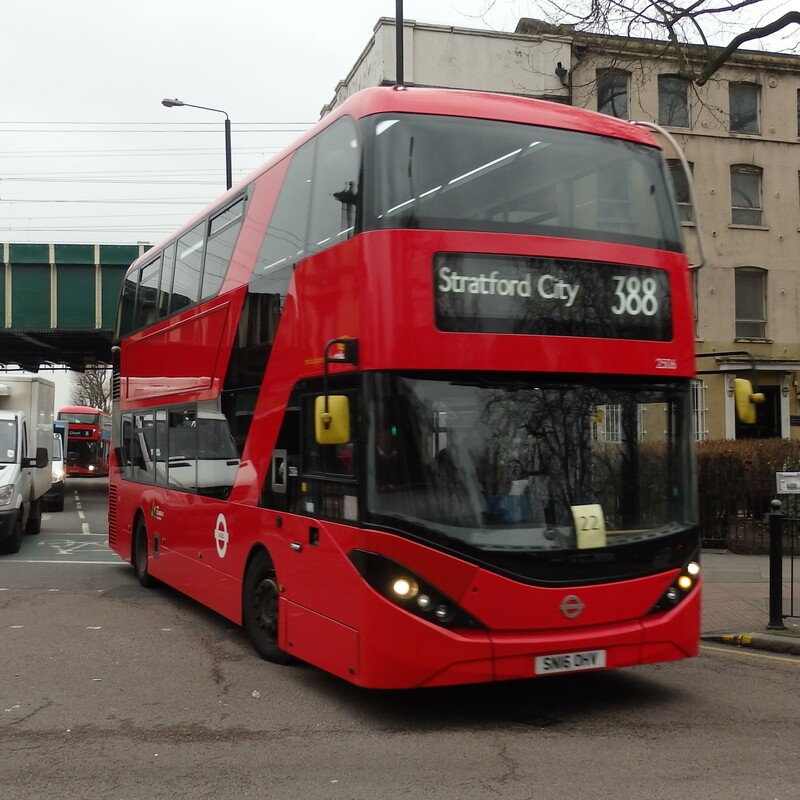 Ironically, the 62 & 368 both have descriptive destinations - granted neither terminate in the town but they do terminate in the Barking area. I don't think there is anything wrong with plain Barking for terminating routes. Most people know where their bus terminates in Barking and just need confirmation that the bus is going all the way there. I tend to agree with curtailed routes, it helps to know where in Barking the bus will terminate. But at the end of the day Barking Town Centre isn't that big. Barking is a big area (not talking about the borough) and has more than one terminating point so just showing Barking is hardly helpful regardless of whether your a usual punter or not - a driver could show Barking but terminate at the garage for example rather than showing Fair Cross. 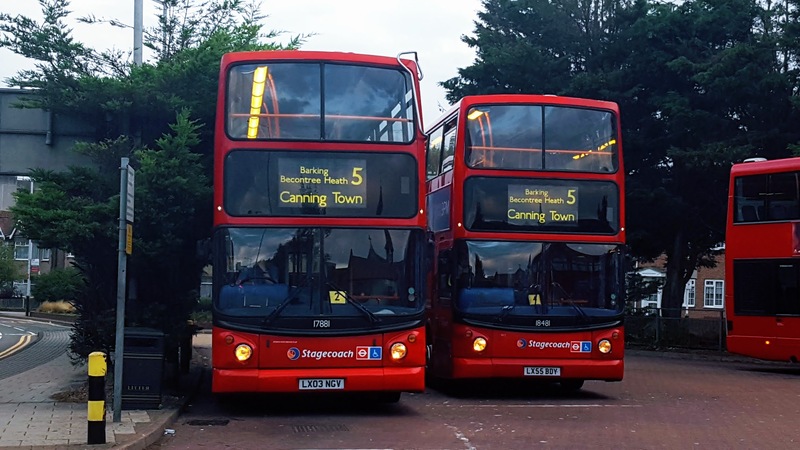 In the example you quote, Barking Garage is not in the town centre so I would expect a qualifying point - I would also expect one for the 62 to Gascoigne Estate and the 368 to Hart's Lane. Brings us nicely onto that particular turn. The BK turn is not vague, but "Fair Cross" is just a useless blind. Many people don't even know where that is, and that doesn't even include the fact the blind is written wrong as it should be "Faircross". However now you have the issue you can't just use "Barking, Bus Garage" as Barking has three bus garages. Going back to the plain Barking description I agree it needs to be sorted. The 238 and 287 both used to display "Barking Station" back in the noughties with the 169, 179 and 87 using the plain "Barking" descriptor for the town centre. The general rule at the moment is any bus coming in from the North with a plain "Barking" display terminates at the town centre while any bus coming in from the South/West with a plain display terminates at the station. It's impossible to terminate at the station from the North, and if buses are terminating at the 169 stand from the south/west they use the "Barking, London Road" qualifier. Go Ahead now use "Barking Station" on their blinds and have instead abandoned the London Road qualifier, however Arriva and Stagecoach haven't jumped onto that particular bandwagon. That said the London Road stand shouldn't be an issue for too much longer as they're going to build a block of flats over it in a couple of years. I wouldn't be surprised to see the 169 sent to stand on Abbey Road so it can loop back around using North Street. Should this happen I imagine a "Barking Abbey" display will hopefully be used eliminating any confusion. Too bad there’s a school called Barking Abbey which is ironically located in Fair Cross so could potentially be confusing. It shouldn't be too much of a problem, if you're not familiar to Barking you're unlikely to know about the school and locally Barking Abbey is much more associated with the Abbey ruins than it is with the school. Of course, that shows one advantage of not using a qualifier for a town centre terminus - no need to change the display if you have to relocate the terminus! An area is not defined by its town centre and Barking is bigger than the town centre - the point I’m making is by having a plain Barking display, it gives the liberty to just chuck people out anywhere and a driver could use a plain Barking display to chuck people out there if so.